Kochi: The LDF Government in Kerala has holed up the controversial report on land encroachments submitted by Sub-Collector Sreeram Venkataraman of Devikulam taluk in Idukki over a year ago. A year after the submission of the report, the Government has not taken any followup action even after knowing that large areas were encroached by highly influential people and religious houses belonging to the minority community. Instead, the Government shifted Venkataraman to employment and training department as its director general. The revenue department said the report was in Chief Minister’s office, and Devikulam RDO office had no idea about it. Venkataraman had prepared the report on encroachment on government land holdings in the area coming under his control in May last year. It clearly named the bigwigs and others who had occupied government land illegally. It was submitted to the Idukki Collector who presented it at a meeting convened by the Chief Minister on May 7. An RTI filed by N C Cyriac of Poonjar in Kottayam early this year, seeking to know the fate of the report, got the reply from the revenue department that it was not in a position to answer on the present status of the report as it had been with the Chief Minister’s office since May. 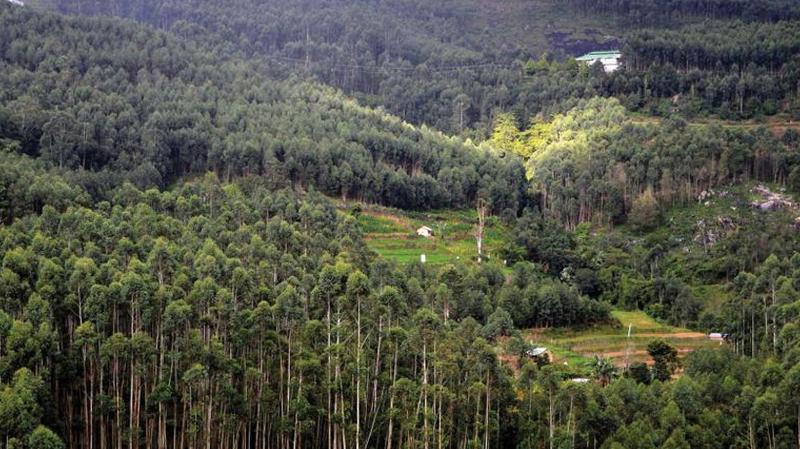 The report gives details of encroachers who had grabbed land in the ecologically sensitive areas in and around Munnar and Kottakamboor near the Kurinji Sanctuary. There are names of many top leaders of some political parties. CPM-backed Independent Joice George, MP, has been accused of usurping land exclusively allocated to poor people of Tamil origin in Kottakamboor region. Eviction of encroachers was first taken up by V S Achuthandan during his tenure as Chief Minister in 2007. A three-member team comprising Raju Narayanaswamy, Rishiraj Singh and Suresh Kumar was formed to identify encroachments and demolish buildings constructed on them. This helped the then party state secretary Pinarayi Vijayan to reinforce his group and corner Achuthanandan who had to abandon the drive due to strong pressure from the LDF.